A powerful Video GIF Converter for convert video file to animated gif file, Video GIF Converter is a powerful tool to convert video file to animated gif file and enables you to add specific effects on the GIF file. It provides a built-in player that allows you to select the section as you view the clip. You can use this software to convert selected part or convert a single video file. It comes with fast speed and supports a lot of popular movie formats, like AVI, MPEG DVD, WMV, ASF, RMVB formats. The interface is very user-friendly and easy-to-use. 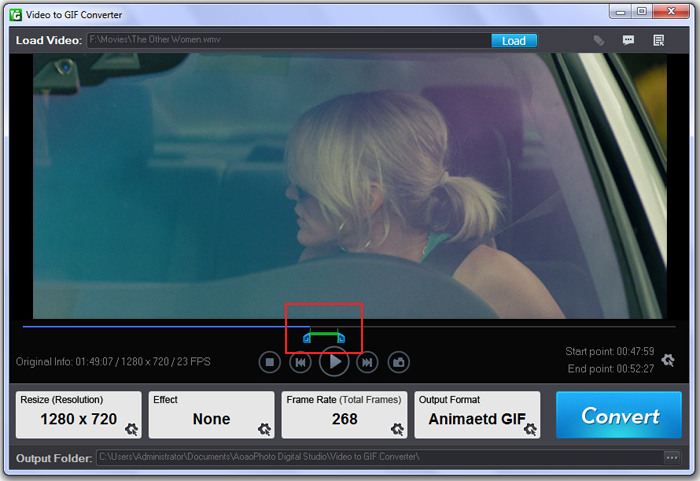 Video to GIF/JPEG is a great tool to capture selected frames of the video file and save them to GIF or JPEG formats. It also create animate thumb cover for your DVD/VCD/DV. Video Capture to GIF/JPEG supports MPEG-MPG-MPA/MOV/WMV/AVI/ASF/DivX. 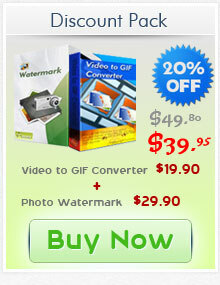 Video to GIF Converter is a capture selected frames of the video file and save them to animation GIF or JPEG formats. You can easily create high quality GIF animation files from video clips, and supprt all popular video format,as avi, mpeg, DivX, RMVB etc. You can see the video information in our software, include "Total Time", "Total Frames", "Video Size", "Frame Rate", "Aspect" and "Work Area"
Can via progress bar and manual input time for accurately control to per frame. 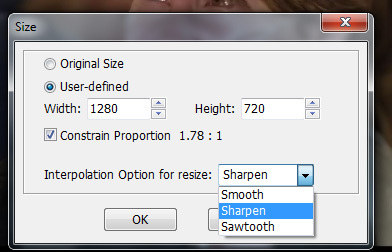 Smooth > Smooth edge without sawtooth, make picture looks vaguer. 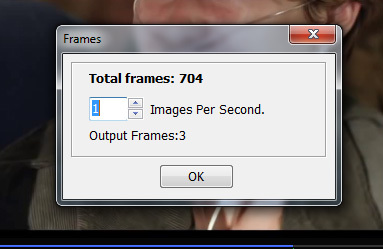 Display total frames in output, you can select X pictures per second for control speed in GIF animation, Video to GIF support it only. 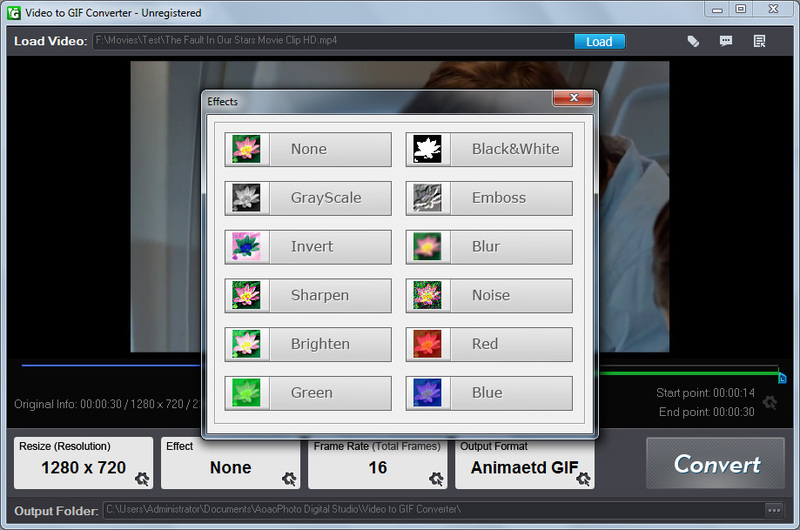 Video to GIF Converter provide 'General', 'Good', and 'Best' quality for select. You can select a time delay or input any value. Output formats: GIF, JPEG, BMP, TIFF, PNG, TGA, ICO, PCX, PDF, JPEG2000, WBMP, PSD, etc. Step5: Click "Run" button to convert video to gif animation.